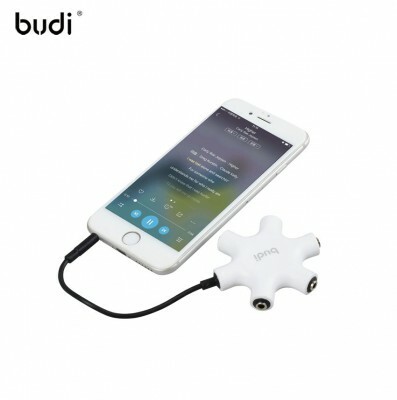 * Share your music across 5 headphones. * 5 audio port let your music speared. * Listen to your music with your friends. * 2 feet long aux cable included. 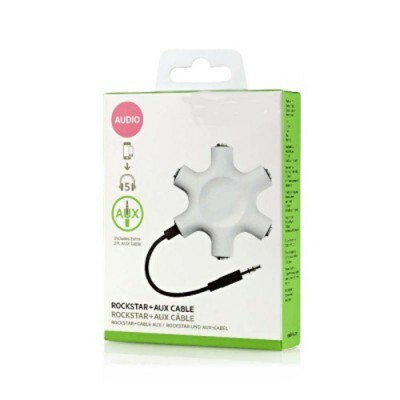 **Belkin Rock Star makes it fun to create your own music experience. 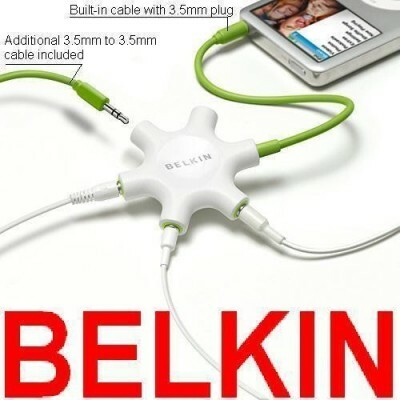 Connect up to five headphones, and your iPod, to start sharing. 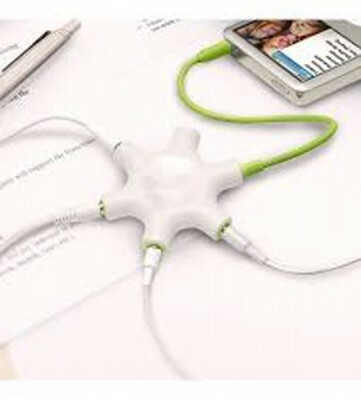 Or, add another iPod to mix-songs and listen together. 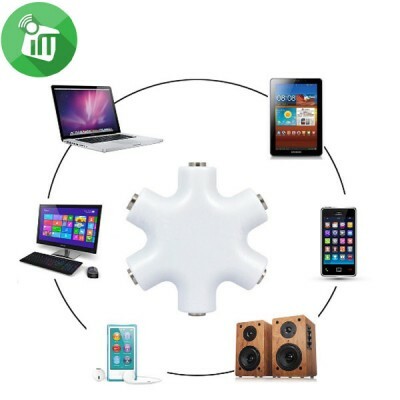 Works with all Device.